Society for promotion of Science, Engineering and Technology (SENTEC) is organizations of NED University, it has engrossed the interest of wide variety of people belonging from university students to industrial professionals. This society is one of the oldest society being operated in NED University of Engineering & Tech. Karachi since last 18 years and this time once again the society has emerged with the same aim. The purpose of this event is to bridge the gap between the academia and Industrial globe and to provide an enormous and advantageous platform to reveal the veiled talent of our youth and also to boost the confidence level that increase student’s participation in such activities. 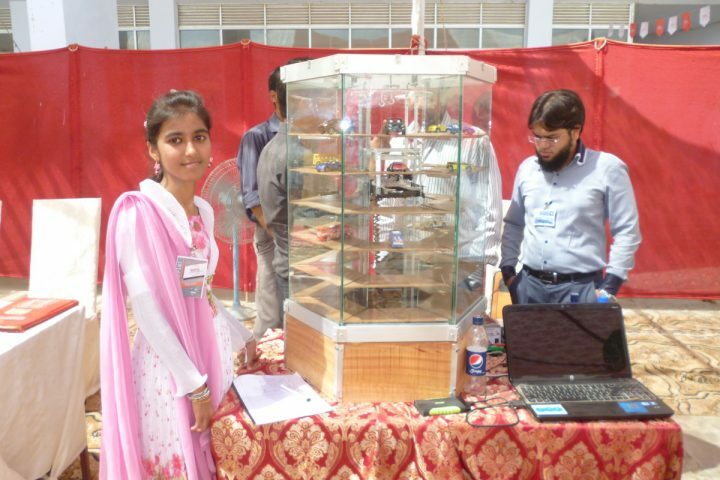 Pakistan Science Club team visit to NED University event. See Photographs of SENTEC 2013.